“Someone’s trash is someone else’s treasure.” Have you ever heard that saying? For people who hoard, this is actually their reality. The definitive issue with hoarders is that they have great difficulty in distinguishing between the real and the perceived value of something. Or put another way, it is the excessive acquisition of possessions and the inability or failure to use or discard them. The causes behind hoarding are very complex, which makes it difficult to diagnose and treat. Hoarding has been associated with obsessive-compulsive and personality disorders, depression, addictions, post-traumatic stress disorders, a traumatic loss or aging with mobility limitations. It has also been theorized to be genetic and to affect a specific part of the brain. If it is difficult, then to determine why is happens, it becomes even more difficult to treat or to instil any kind of behavior changes. 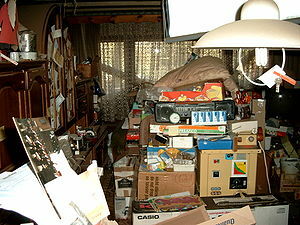 People who hoard have been described as “pack rats,” “obsessive collectors” and “cheapskates.” It becomes an issue that needs to be dealt with when it creates an unhealthy or unsafe living environment, disrupts family and friend relationships, serves to compound a mental health issue or isolates someone so much that it threatens their very existence. Hoarding behavior has been documented as starting as early as 7 years of age. Now imagine hearing that when trying asking them about what to do with every single item when we start sorting! While I do not discount the validity of these statements to the hoarder, the goal is to alter their way of thinking so that they can restore their living space to a healthy environment. But this is easier said than done. For me to help them learn how to make decisions that will prevent future hoarding, I need to know why this specific client feels they need to hold on to these items. In other words, what drives a person to do something that leaves their home full of garbage, of floor to ceiling newspapers, of no where to sit or sleep or with not even any place to prepare food or bathe? What decision tools can we provide them that will get them on the road to a healthier lifestyle? 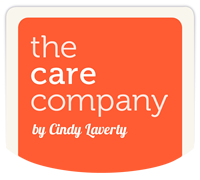 It all starts with the most important first step of all: the initial consultation, which I always do at no charge. This is my opportunity to build a bond of trust and to ask both the client and the client’s family a lot of questions that will guide me in customizing a plan of action designed specifically for them.